We are back! First class will be on Thursday, April 4. 8pm class will resume April 11: sign up now! Drop-in class in Salsa Cubana Thursdays at 7 pm. Salsa Casino partner dancing and Salsa Suelta for all intermediate dancers. This is a 6-week series Beginner Level 2* and up. From May 9 to June 13, 2019. Thursdays from 8 to 9 pm. No partner required. Min. 6 people. Age 16+. $50 for series (drop-in $10). Location: Motion Pacific Dance studio, Front Street, downtown Santa Cruz. Drop-ins welcome but need to know the basics in Rueda*. No street shoes, no flip flops, and no shoes which leave black marks, please. *Beginner level 2: know the basic steps, dame, enchufla (doble), el uno, and sombrero. This is not a Parks & Rec class: contact Chris & Jessica to register. Class offered through the City of Santa Cruz Parks & Recreation. 5-week series class: Wednesdays, April 10, 2019 to May 8, 2019. From 7 pm to 8:15 pm. No partner required. Age 16+. Minimum 8 people. Limited space. 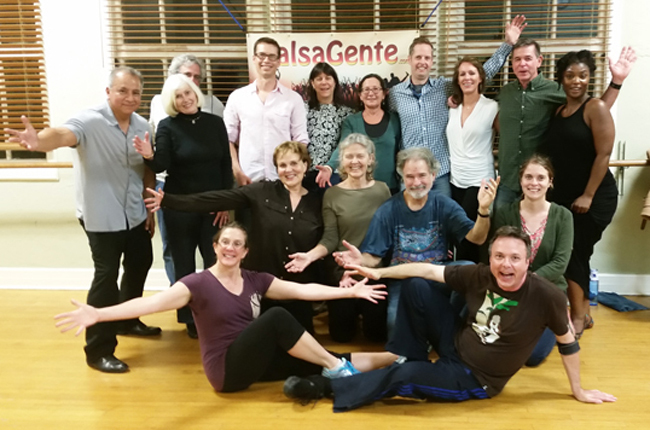 Cuban Rueda de Casino offers a fun alternative way to learn salsa. This wildly popular type of salsa dancing is done by a group in a circle (Rueda), with partners being passed around. Partner and group moves can be called in quick succession. Come join the wonderful and energetic community of Rueda dancers around the world. Cost $50 (if you live within Santa Cruz)/$62 (if you don’t live within Santa Cruz city limits). Need to pre-register at City of Santa Cruz Parks & Recreation. Above: Photo of our beginner class in early 2019. We had a lot of fun! Enjoy four days of social dancing, world-class performances and shows, music from acclaimed bands and DJs, workshops and classes for all dance levels with top instructors, a beginner bootcamp, educational lectures and late night parties in the heart of one of the greatest cities in the world. 60 workshops and classes for all dance levels in Rueda, Salsa, Casino, Folklore, Rumba, Son and more. Learn real social dance skills from the best Cuban Salsa instructors in the world. Party until the wee hours of the morning with the largest community of Cuban Salsa lovers on the West Coast. Legendary live bands and DJs such as: El Niño y la Verdad, DJ Walt Digz. 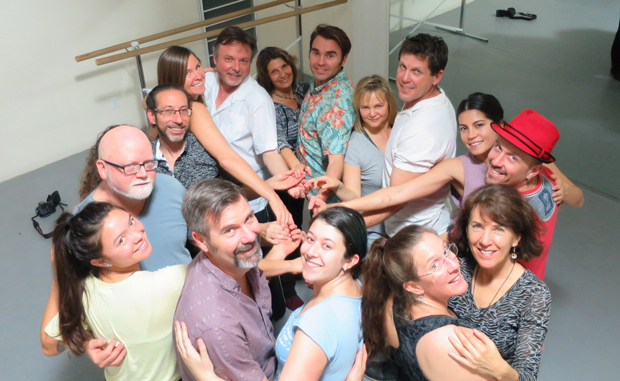 Superstar instructors such as (from 2018): Yeni Molinet, Roberto Borrell, Susana Arenas Pedroso, Duane Wrenn, Royland Lobato, Kati Hernandez, Denmis Bain Savigne, Nicholas van Eyck and Serena Wong, Hansel Melgares , Temistocles “Temi” Fuentes Betancourt, Ramón Ramos Alayo, and more. 7-week series class for all dancers, wanna-be dancers and dancers at heart. Learn to dance easy and cool-looking moves. SORRY: CLASS IS FULL! Waiting List! No partner required. Age 16+. Limited space. This popular crash course offers everyone who wants to learn to dance Salsa a more relaxed but sizzling Cuban flavor. Learn to dance Salsa with easy and cool looking partner moves. Towards the end of the seven week course we will also introduce Rueda de Casino. Meet people, have fun and get a workout as your skilled teachers keep you moving in a friendly and non-intimidating atmosphere. Cost $70 (if you live within Santa Cruz)/$84 (if you don’t live within Santa Cruz city limits). The organizers of the largest Cuban music & dance festival at the West Cost are coming to Santa Cruz. Nick and Serena from Salsa Vale Todo in San Francisco will give two workshops. Each class is about 60 to 75 minutes. Age 16+, max 18 people. No partner required. Cost $15 each (cash only). There is no sign-up for this workshop, all is drop-in at the door. 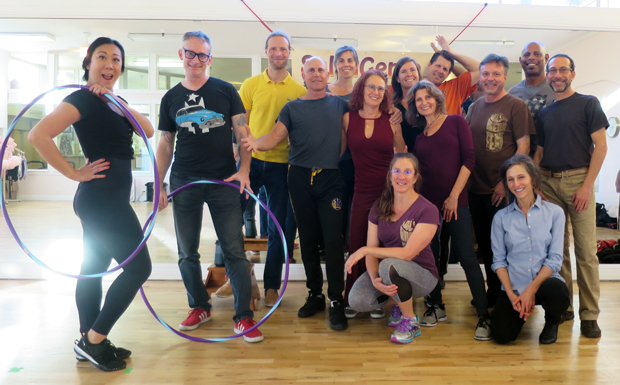 Above: Photo of our beginner class in fall 2018. What a wonderful group! This is a 7-week series class: Wednesdays, Sept 19 to Nov 7, 2018. From 7pm to 8:15pm. No class Oct 31. This popular crash course offers everyone who wants to learn to dance Salsa a more relaxed but sizzling Cuban flavor. Learn to dance partner dancing with easy and cool looking moves. Towards the end of the seven week course we will also introduce Rueda de Casino. Meet people, have fun and get a workout as your skilled teachers keep you moving in a friendly and non-intimidating atmosphere. Cost $70 (city of Santa Cruz residents)/$84 (non-city of Santa Cruz residents living outside Santa Cruz). Age 16+. No partner is required. Maximum 30 people. Registration open August 6, 2018. Look out for catalog or go online. 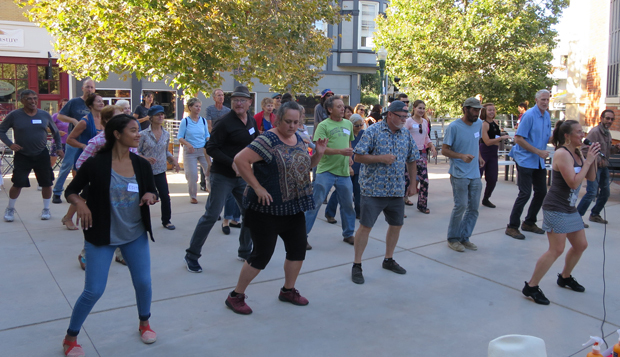 The event invites dance aficionados of any level and promotes the upcoming Salsa Crash Cuban-style for Beginners offered through the City of Santa Cruz Parks & Rec which begins Sept 19, 2018. No partner required. Workshop in Afro-Cuban Dance and Salsa Cuban styling. 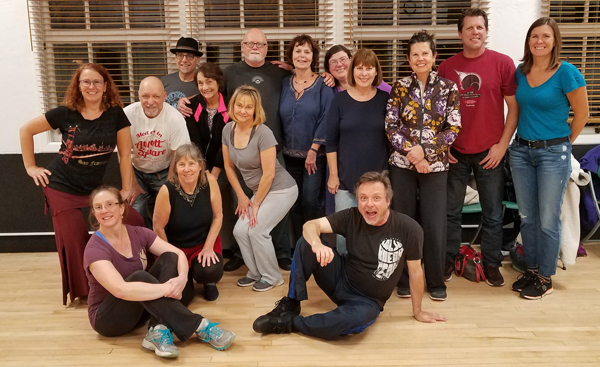 Photo of one of our classes in February 2018. 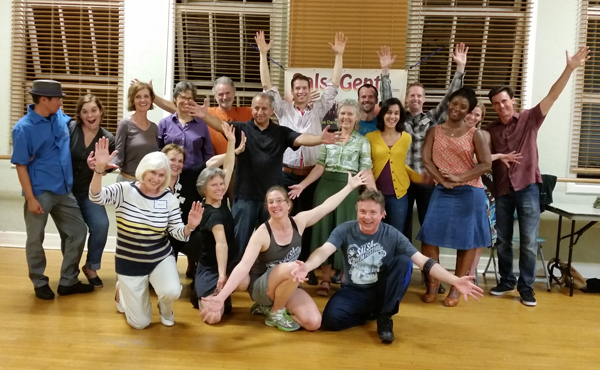 We love dancing with these wonderful people and are always impressed by the enthusiasm and spirit everyone brings to the dancing floor. This makes our day! Legendary live bands and DJs such as: Timbalive, Yenisel “Yeni Valdes, Bay area All-Stars, DJ Walt Digz. Superstar instructors such as: Yeni Molinet, Roberto Borrell, Susana Arenas Pedroso, Duane Wrenn, Royland Lobato, Kati Hernandez, Denmis Bain Savigne, Nicholas van Eyck and Serena Wong, Hansel Melgares , Temistocles “Temi” Fuentes Betancourt, Ramón Ramos Alayo, and more. Level 1 class IS FULL! Register now for Level 2! Level I (beginners) is for anyone who wants to learn to dance partner Salsa, with easy and cool looking partner moves. Level 2 is for anyone who wants to build up salsa skills or has completed level 1. This is also an introduction to Cuban Rueda de Casino. $60 (city residents)/$72 (non-city residents). Age 16+, Maximum 18 people. Offered through city of Santa Cruz Parks & Rec. Need to pre-register! Registration is opens January 4, 2018. 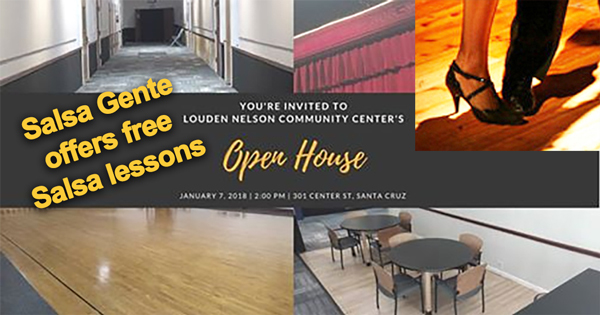 We are excited to give two free Salsa lessons at the Open House at Louden Nelson Center. Featuring Salsa Suelta and Casino partner dancing. Lates tunes from Cuba. For all intermediate Salsa dancers. No partner required. Age 16+. Don’t miss this popular class: fills up fast! $58 (city residents)/$70 (non-city residents). Age 16+, Maximum 18 people. SALSA NIGHT 6pm to 9pm: free! 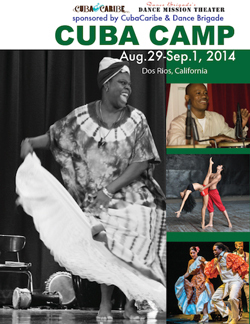 Cuba Camp in Dos Rios, California! Photo from last Cuba camp in 2014. 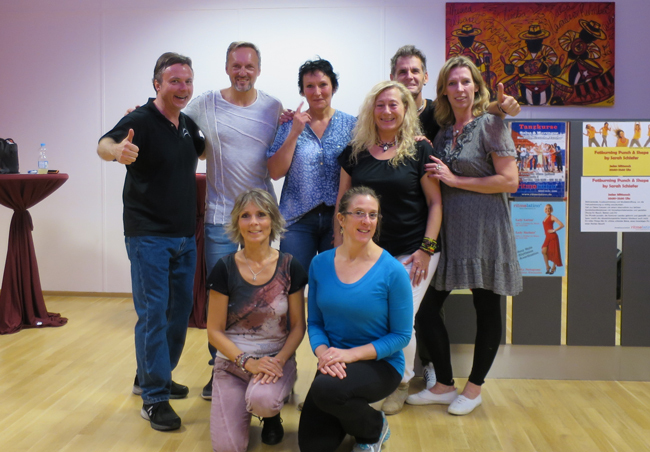 Dance Mission and CubaCaribe present CubaCamp! SORRY Cuba camp was postponed until further notice! We will let everyone know once we hear more. Get into the spirit of sunshine of Caribbean dance and music. Two courses: Level I (beginners) is for anyone who wants to learn to dance partner Salsa, with easy and cool looking partner moves. Level 2 is for anyone who wants to build up salsa skills or has completed level 1. This is also an introduction to Cuban Rueda de Casino. The 9th Annual San Francisco Salsa Rueda Festival. The largest at the West Coast! Afro-Cuban, African, Son, Salsa Rueda de Casino. Teachers and performers from all over the world! Enjoy four days of social dancing, world-class performances and shows, music from acclaimed bands and DJs, workshops and classes for all dance levels with top instructors, a beginner bootcamp, educational lectures and late night parties in the heart of one of the greatest cities in the world. Live band Timbalive, DJ Walt Digz and many others. Chris & Jessica performed 3 times in the past at this annual festival! It is always a great experience connecting with other Rueda dancers around the world when we travel. 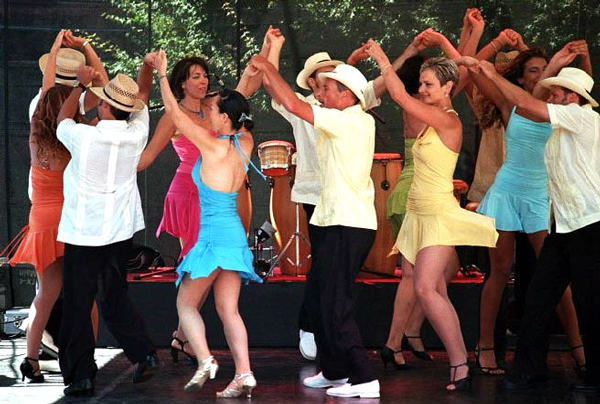 Dancing Rueda de Casino in Ulm, Germany at RitmoLatino by Osmay Fermin Silva Navarro. What a wonderful and fun group they have in Ulm. There were much more dancers but most were already off dancing downstairs. 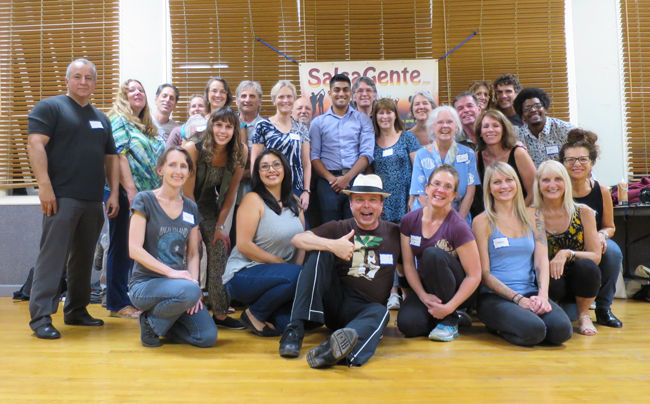 Group photo of our class in September 2016 at Louden Nelson Center downtown Santa Cruz. SORRY: LEVEL 1 CLASS IS FULL! This is a 5-week series for intermediate level (Beg 2 and up) on Thursdays from 8 to 9pm. No partner required. Min. 6 people. Age 16+. $35 if pre-registered by August 27 (reg $42). Drop-ins are still welcome for regular drop-in fee ($9) and need to know the moves (see above). Experience great Cuban dancing from a great Cuban master teacher! Don’t miss this rare opportunity with Cuban Salsa (Suelta, Casino, Rueda de Casino) with Royland Lobato from San Francisco. Originally from Guantanamo, Cuba Royland graduated of the Escuela de Instructores de Arte de la Ciudad de La Habana. 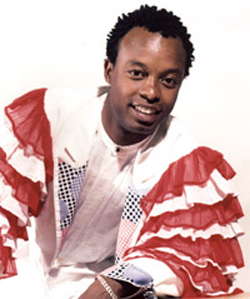 He is a professional dancer with an expertise in Afro-Cuban folkloric and Cuban popular dance. 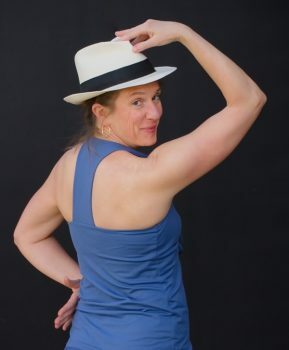 Royland is working over 17 years as a dance educator. 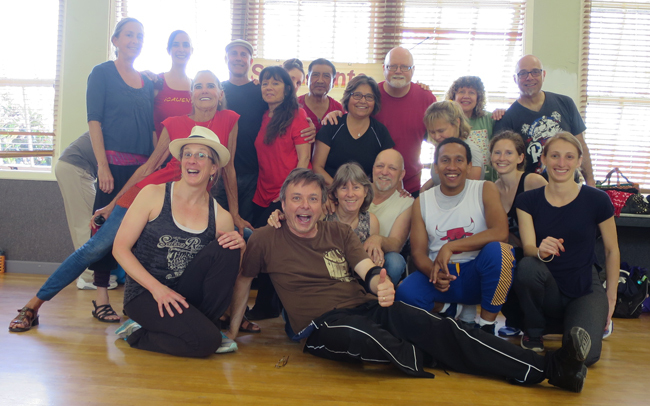 He teaches regular classes in Rueda/Cuban Salsa, Afro-Cuban Folklloric and Cuban Rumba in San Francisco and Berkeley. Get into the spirit of sunshine of Caribbean dance and music. This popular crash course offers everyone a more sizzling Cuban variety. Level 2 is for anyone who wants to build up their Salsa dancing skills or have completed Level 1. Learn more turns, develop body movement and enjoy the relaxed and open Cuban style. Level 2 also includes an Rueda de Casino which is very popular in Cuba. Location: Louden Nelson Center, downtown Santa Cruz, CA. No partner required, age 16+, limited space. Chris & Jessica performed at this annual festival! This was their 3rd time performing at the festival. The 8th Annual San Francisco Salsa Rueda Festival. The largest at the West Coast! Get into the spirit of sunshine of Caribbean dance and music. This popular crash course offers everyone who wants to learn to dance Salsa a more sizzling Cuban variety. Level 1 is for anyone who wants to learn to dance partner salsa, with easy and cool looking moves. Level 1: begins Feb 24, 2016. Four Wednesdays from 7 to 8:15pm. This series is offered through the city of Santa Cruz Park & Rec. Pre-registration is required. Join us for our last class this year 2015! Thur Dec 17 from 7:30pm to 9pm (one class, all levels). We start with some Casino partner moves, later some Rueda. Lots of dancing between and after with great Cuban music. No partner required, drop-ins welcome. Series class for Beginner level 2 and up! 4 Thursdays from 8 to 9 pm. Need to know following: Guapea, dame, enchufla doble, el uno, sombrero, and setenta. We will review every week and build up. Engage with ease! Finish the year with fun! Let yourself be enchanted! $24 if you pre-register by October 29, otherwise $35. Contact us to register. Drop-ins are still welcome for regular drop-in fee and need to know the moves (see above). No partner required! Limited space! Last series classes all filled up fast with waiting list! 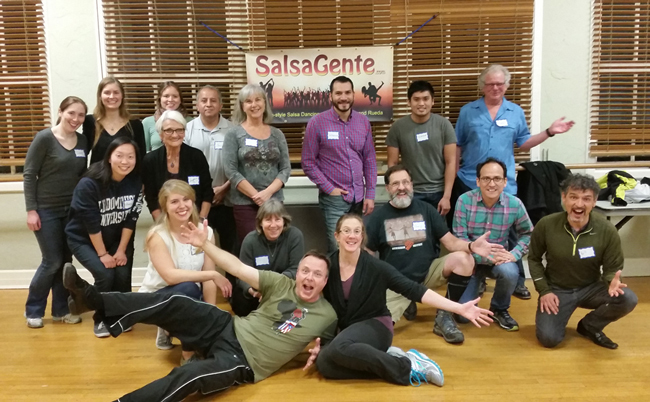 This class is ideal if you have basic Salsa dancing experience or have completed Chris & Jessica’s beginner series level 1. Learn more turns, develop movements and enjoy the relaxed and open Cuban style of dancing. This series also introduces Salsa Rueda de Casino. Get a workout, gain confidence, learn great moves as your fun teachers keep you moving! Level 2 (begins on Oct 21): Wednesdays from 7 pm to 8pm. These 4-week series classes are offered by city of Santa Cruz Parks & Recreation and pre-registration is required. 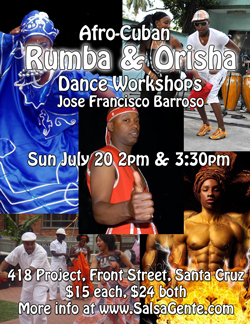 Jose “Cheo” Rojas coming to Santa Cruz for this one-time workshop featuring Cuban Popular dances such as Cuban “Salsa”, Mambo, ChaChaCha, Afro-Cuban Rumba, Pilon, and Mozambique. Cheo is originally from Guantanamo, Cuba and co-founder of internationally renowned Cuban company Banrará. No live drumming! This popular 4-week crash course offers everyone who wants to learn to dance Salsa with easy and cool looking partner moves in a more relaxed and sizzling Cuban flavor. No partner required. Limited space. Wednesdays from 7 pm to 8pm. Offered by city of Santa Cruz Parks & Recreation and pre-registration is required. Every Thursday at 7pm we feature Salsa Cubana (not Rueda). Explore or improve your dancing skills with the technique and style of Salsa Suelta followed by cool partner dance moves from Santiago de Cuba and Havana. We play the latest tunes from Cuba. Class is at Louden Nelson Center, 301 Center Street, downtown Santa Cruz. The class is for all Salsa dancers with intermediate experience. No partner is required and we change partners frequently. The workshop is designed for people with some background in either Casino/Salsa or Rueda de Casino. Featuring live drumming with legendary Lazaro Galarraga and Bobby Wilmore! This is a real treat for all dance aficionados and also all Salsa dancers in Santa Cruz! 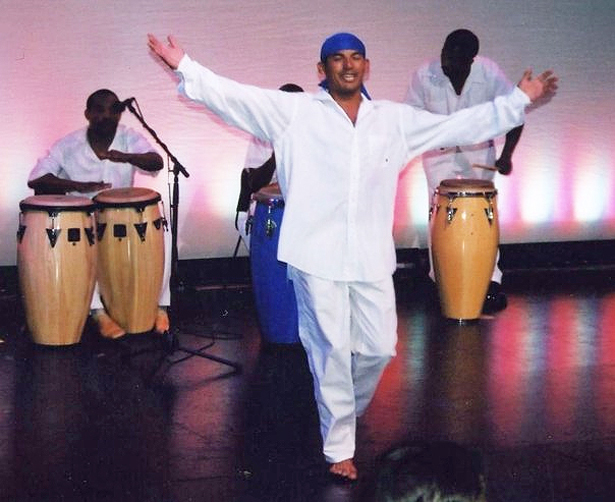 Experience great Cuban dancing from a great Cuban master teacher! Don’t miss this rare opportunity with Cuban Salsa & Rueda class with Royland Lobato from San Francisco. Originally from Guantanamo, Cuba Royland graduated of the Escuela de Instructors de Arte de la Ciudad de La Habana. 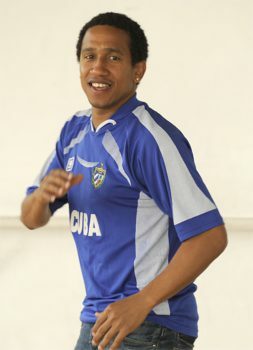 He is a professional dancer with an expertise in Afro-Cuban folkloric and Cuban popular dance. Royland is working over 17 years as a dance educator. 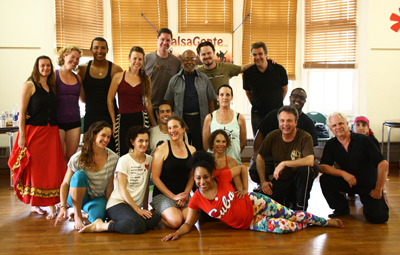 He teaches regular classes in Rueda/Cuban Salsa, Afro-Cuban Folklloric and Cuban Rumba in San Francisco and Berkeley. Build up your Salsa dancing skills! This is partner dancing. 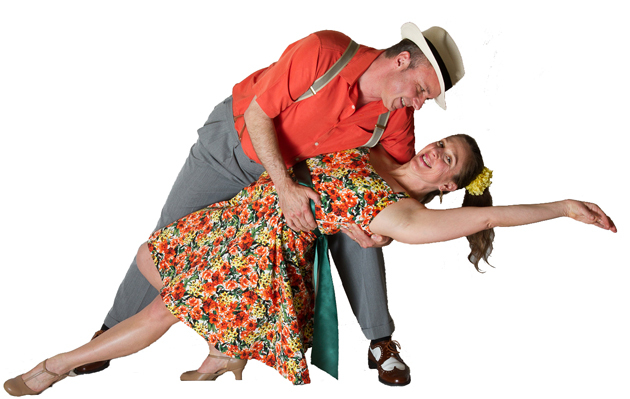 Learn more turns, develop movements and enjoy the relaxed and open Cuban style of dancing with a partner. This class is ideal if you have basic Salsa dancing experience or have completed Chris & Jessica’s beginner series level 1. No partner is required. Limited space! Chris and Jessica have 15 years experience and regularly study with renowned Cuban teachers and in Cuba. This is a 4-week series on Thursdays at 7pm. Class begins Thursday Feb 26 at 7pm. Maximum 18 people. Age 16+. Louden Nelson Center, downtown Santa Cruz. Fee $45 city residents/$57 non city. Pre-registration is required at City of Santa Cruz Parks & Rec. Largest Cuban Music & Dance Festival in the US! Chose “Salsa Gente” under referee list when registering! Beginners classes, Intermediate and Advanced workshops in Rueda, Salsa, Casino, Folklore, Rumba, Son and more. Social dance classes. Learn real social dance skills from the best Cuban Salsa dance instructors in the world. Live bands: Rumbache, Timbalive and Mayito Rivera (ex-Los Van Van) with TIMBALIVE. DJ Walt Digz, Asho, Dark Rum, Alan, Belen, and El Gato Volador (Italy). For anyone who wants to learn to dance Salsa, meet people and have fun! 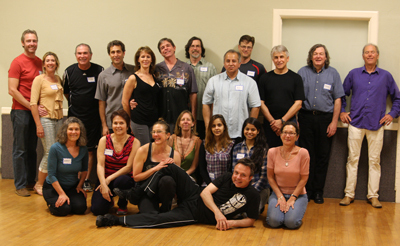 Two skilled and non-intimidating instructors will build up your dancing skill. In just 4 weeks you will step up on the dance floor with easy, cool looking moves. This is partner dancing using Cuban-style techniques. Class begins Thursday Jan 29 at 7pm. Maximum 18 people. Age 16+. Pre-registration is required at City of Santa Cruz Parks & Rec. Limited space! This class is ideal if you have basic Salsa dancing experience or have completed Chris & Jessica’s beginner series level 1. Learn more turns, develop movements and enjoy the relaxed and open Cuban style of dancing. This series class builds up each week, so attendance to all sessions is required. Class begins Thursday Oct 16 at 7pm. Maximum 18 people. Age 16+. Louden Nelson Center, downtown Santa Cruz. Fee $40 city residents/$52 non city. For anyone who wants to learn to dance Salsa, meet people and have fun! 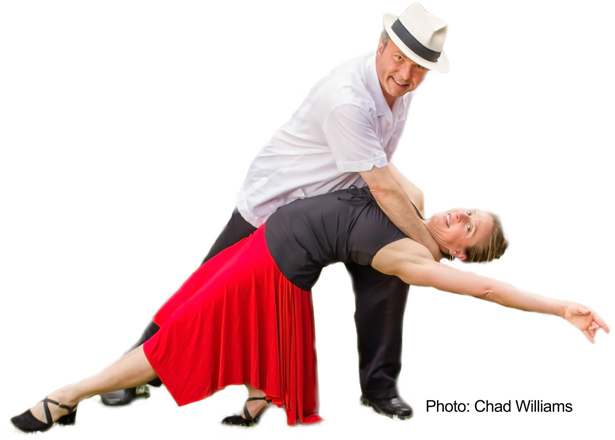 Two skilled and non-intimidating instructors will build up your dancing skill. In just 4 weeks you will step up on the dance floor with easy, cool looking moves. This is partner dancing using Cuban-style techniques. Class begins Thursday Sept 18 at 7pm. Maximum 18 people. Age 16+. 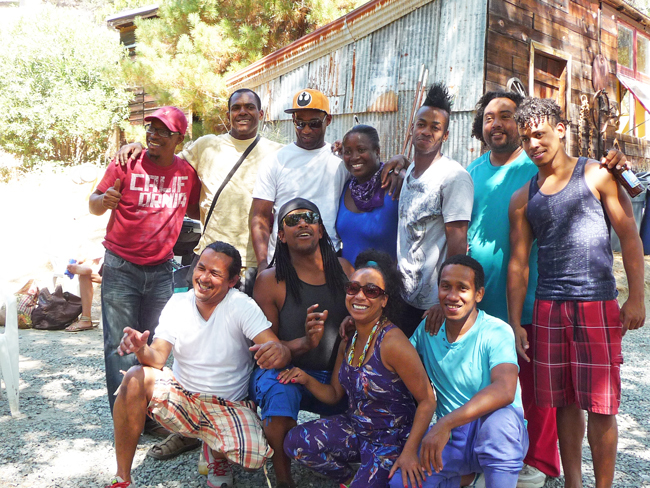 CUBA CAMP north of San Francisco August 29: GET DISCOUNT! Don’t have time or money to travel to Cuba? Join Chris & Jessica to Cuba Dance Camp! If we can get 5 people or more, each one gets $50 discount! Contact us! 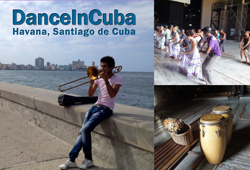 Immerse yourself in a vibrant weekend of Cuban music, dance, relaxation and fun. 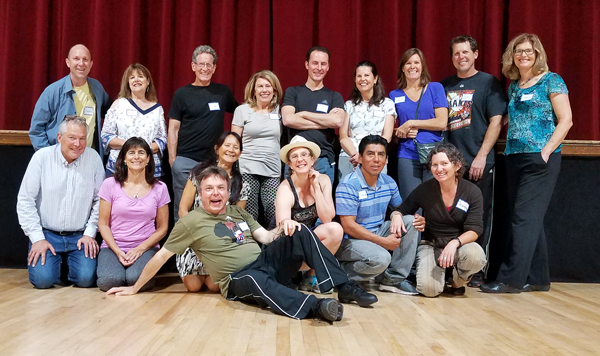 Adult students have the opportunity to take Cuban folkloric, popular, modern dance (includes Rueda de Casino, Salsa Suelta), song and percussion classes. 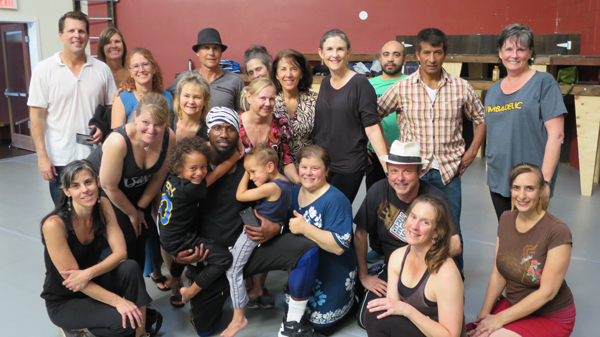 Cuba Dance Camp is offered by Dance Mission Theater, San Francisco. Sponsored by Cuba Caribe and Dance Brigade. Master Teachers: Katie Hernandez, Royland Lobato, Silfredo La O, “La Lora” Perez, Jose “Cheo” Rojas, Ramon Ramos Alayo, Ramon Sandy Perez, Juan Carlos Blanco, and more…. Dos Rios, California Camp with access to the river. Both workshops are for all levels! Afro Cuban Rumba and Orisha dances illustrate the essence of all Cuban movement and will enhance your salsa style, freestyle ability, and flow! 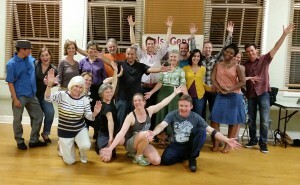 Salsa Cubana drop-in every Monday 7pm! Experience the Cuban style of dancing Salsa! Featuring a great variety from Casino partner moves, Salsa Suelta and body styling to Rueda de Casino. Salsa Rueda for drop-ins every Thursday 8pm! 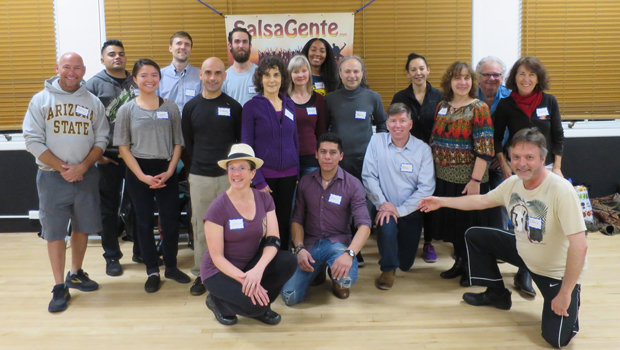 Salsa Rueda class for drop-ins! No Partner required! Friendly, non-intimidating atmosphere. Great instructors. Cool but easy moves to sizzling Salsa music. Monday, April 28 at 7pm Salsa Cubana (for intermediate dancers). 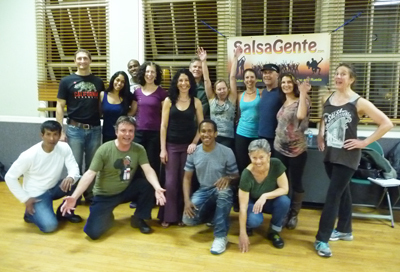 Thursday, May 1 at 8pm Salsa Rueda (Intro/Beginner and Beg 2/Int): two groups. Chris & Jessica from Salsa Gente performed at Stage 2 (Pacific and Locust) downtown Santa Cruz. This piece was choreographed with Ramon Ramos Alayo of Alayo Dance Company, San Francisco. Enjoy the Santa Cruz premiere of “Inolvidable”, featuring a variety of Cuban dances such as Danzon, Yambu (Rumba), Salsa Suelta, Casino (Salsa), ChaChaCha and Mambo. Cuban workshops with Maiensy Sanchez begins: Fri April 18, 2014! 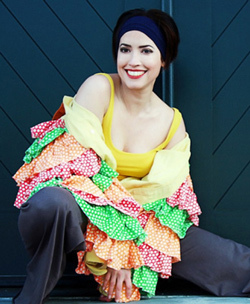 Enjoy a weekend of Cuabn-dance workshops with Cuban-born Maiensy Sanchez. 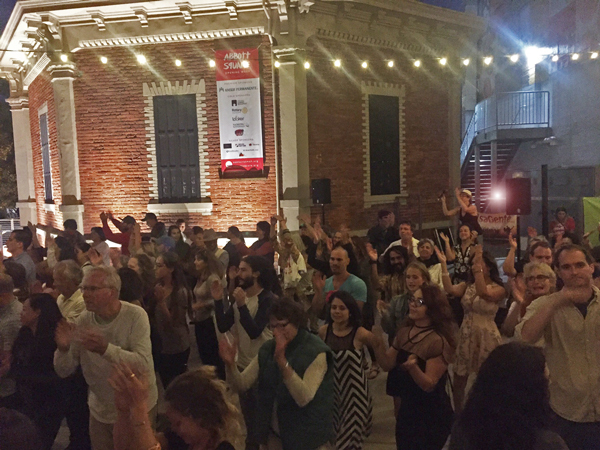 Kick-off begins on Friday, April 18 at 7pm with Cuban Casino Partner Dance & Styling at Louden Nelson Center, downtown Santa Cruz . $12, Max 25 people! Click here to see more about this special workshop and about the workshop Maiensy has on Saturday April 19, 2014 in Santa Cruz. Build up your Salsa dancing skills, have more fun! No partner required! This is mainly partner dance with Cuban-style techniques. 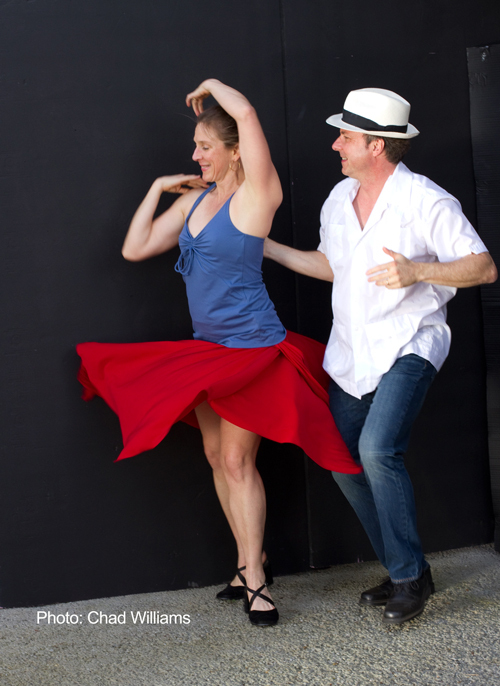 Learn more turns, develop movements and enjoy the relaxed and open Cuban-style of dancing. This is a 4-week series on Thursdays at 7pm. 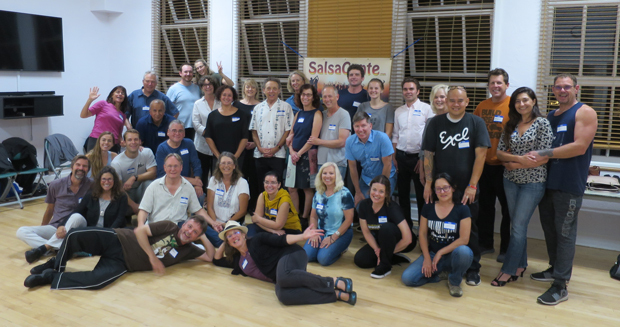 The class is for everyone who has basic Salsa dance experience. Maxi18. Age 16+. Class begins Thursday March 27 at 7pm. Pre-registration is required with SalsaGente.com! Limited space! Louden Nelson Center, downtown Santa Cruz. Fee $38. Build up your Salsa dancing skills! This is a 4-week series class. This class is ideal if you have completed Chris & Jessica’s beginner series level 1, or if you have basic Salsa dancing experience. 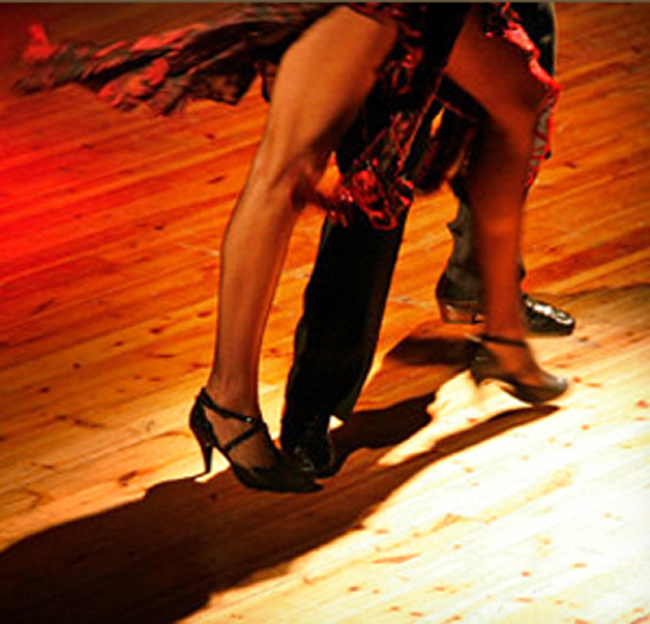 Learn more turns, develop movements and enjoy the relaxed and open Cuban style of dancing. Class begins on Thursday February 27, 2014 at 7pm. Pre-registration is required at the city of Santa Cruz Parks & Rec. Location: Louden Nelson Center Santa Cruz, CA. 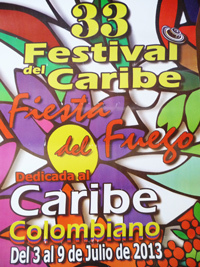 the largest international Cuban music and dance festival in the US! This is the largest international Cuban music and dance festival in the US! 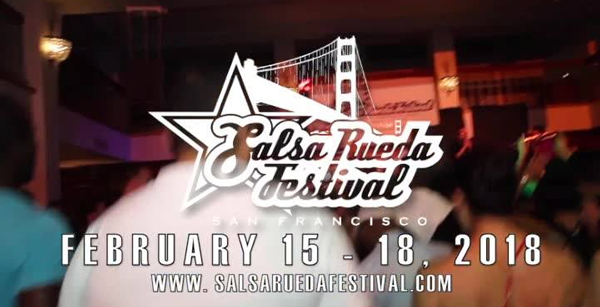 The 6th annual Salsa Rueda Festival at the hotel Whitcomb in San Francisco on February 13th – 16th, 2014. Four days of workshops from beginners, intermediate to advanced. Every day performances, live bands and dance parties. People from around the world. Not only Rueda but also Salsa, Casino, Folklore, Rumba, Son and more. For anyone who wats to learn to dance Salsa. In just 4 weeks you will step up on the dance floor with easy, cool looking moves. This is partner dancing using Cuban-style techniques. No partner required! Class begins on Thursday January 20, 2014 at 7pm. Pre-registration is required at the city of Santa Cruz Parks & Rec. Limited space! Location : Louden Nelson Center downtown Santa Cruz, CA. We are proud to present award-winning Cuban-born Jose Francisco Barroso for two-class workshop. Location: Louden Nelson Center, downtown Santa Cruz on Saturday, January 18, 2014 starting 2pm. Limited space. No partner required! Workshop is open for all levels! $15 one class, $25 two classes. Performance in Santiago de Cuba in July 2013! Chris and Jessica from Salsa Gente performed with dancers from Danza del Caribe and members of the DanceInCuba study trip at the 33rd Festival del Caribe in Santiago de Cuba. Santa Cruz premier of award-winning film: LA SALSA CUBANA! Introduced by director Eric Johnson followed by Q&A. A great film about human interactions and the uplifting power of Latin music and dance. A true story about Cuban Salsa dancing, the film follows a dance group in Havana striving to win the national dance competition. This independent documentary was 6 years in the making and received multiple awards. Sat, March 16, 2013, 5pm to 7pm, $7. Louden Nelson Center, downtown Santa Cruz, California. Click here or on photo to see more info and Youtube trailer! 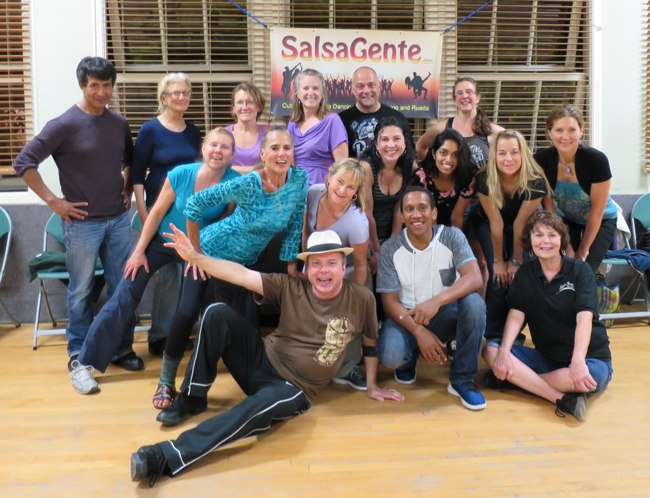 FUN Salsa Rueda Series for Beginners starts March 2013! 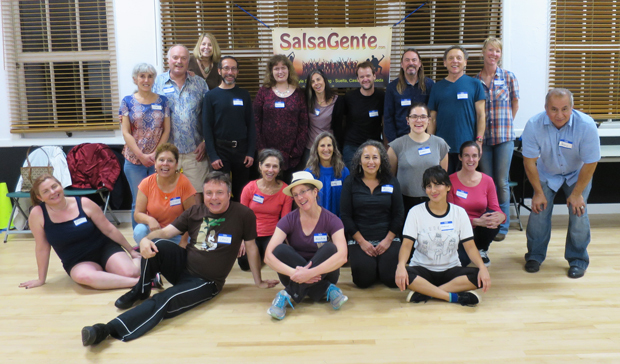 Experience the fun and energy of dancing Salsa in a group! This is a very entertaining way to learn to dance Salsa and become part of a worldwide community phenomenon. Offered through the City of Santa Cruz. No partner required! Ages: 16+, limited space! ! CLASS Full! Click here for more information. 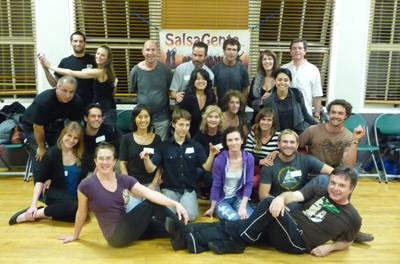 Salsa Crash Course for Beginners in February 2013! This is a crash course for eveyone who wants to learn to dance regular Salsa with some Cuban flavor. 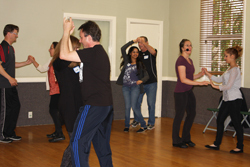 Two skilled and non-intimidating instructors will build up your dancing skill in a FUN way. Our goal is for you to shine on the dance floor with some easy and cool looking moves. CLASS Full! Waiting List! Click here for more information. Originally from Guantanamo, Cuba Royland graduated of the Escuela de Instructors de Arte de la Ciudad de La Habana. He is a professional dancer with an expertise in Afro-Cuban folkloric and Cuban popular dance. Royland is working over 17 years as a dance educator. He teaches regular classes in Rueda/Cuban Salsa, Afro-Cuban Folklloric and Cuban Rumba in San Francisco and Berkeley.